Sher Mohammad Abbas Stanekzai Padshah Khan is a U.N.-sanctioned“Consolidated United Nations Security Council Sanctions List,” U.N. Security Council, June 21, 2017, https://scsanctions.un.org/consolidated/. former deputy minister in the deposed Taliban government in Afghanistan.“Consolidated United Nations Security Council Sanctions List,” U.N. Security Council, June 21, 2017, https://scsanctions.un.org/consolidated/. 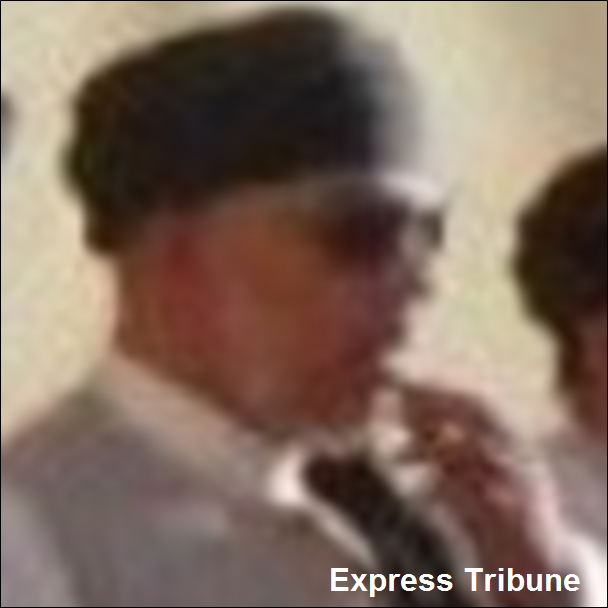 Since August 2015, he has headed the Taliban’s political office in Qatar.Tahir Khan, “Sher Abbas Stanekzai replaces Tayyeb Agha as Taliban’s chief negotiator,” Express Tribune (Karachi), August 5, 2015, https://tribune.com.pk/story/932536/sher-abbas-stanekzai-replaces-tayyeb-agha-as-talibans-chief-negotiator/. “The Taliban,” Council on Foreign Relations, accessed April 13, 2015, http://www.cfr.org/terrorist-organizations-and-networks/taliban/p35985?cid=marketing_use-taliban_infoguide-012115#!/. Stanekzai became deputy minister of Foreign Affairs in the new Taliban government. That October, he led a press conference during which he dismissed international criticism after the Taliban government shut down girls’ schools and required working women to remain home. Regarding U.S. requests for the Taliban to extradite wanted terrorists in Afghanistan, Stanekzai told reporters that the Taliban would “punish” those who are “making trouble.”John F. Burns, “Afghanistan’s New Rulers Soft-Pedal Their Hard Line,” New York Times, October 2, 1996, http://www.nytimes.com/1996/10/02/world/afghanistan-s-new-rulers-soft-pedal-their-hard-line.html. Also that year, Stanekzai met with members of the Clinton administration in Washington, D.C., for unsuccessful talks on U.S. recognition of the Taliban government.John F. Burns, “Islamic Rule Weighs Heavy for Afghans,” New York Times, September 24, 1997, http://www.nytimes.com/1997/09/24/world/islamic-rule-weighs-heavily-for-afghans.html. Stanekzai would later serve as the Taliban’s deputy minister of Public Health.“Consolidated United Nations Security Council Sanctions List,” U.N. Security Council, June 21, 2017, https://scsanctions.un.org/consolidated/. In that role in October 2001, Stanekzai accused the United States of using chemical weapons against the Taliban during its invasion of Afghanistan.Reuters, “Taliban Again Claim U.S. Using Chemical Weapons,” Rense.com, October 29, 2001, http://www.rense.com/general15/talivanagainclaim.htm. By the end of 2001, the Taliban had lost control of Afghanistan to the U.S.-led international coalition.“Operation Enduring Freedom Fast Facts,” CNN, last modified December 21, 2014, http://www.cnn.com/2013/10/28/world/operation-enduring-freedom-fast-facts/. Quentin Sommerville and Bilal Sarwary, “Afghan President Hamid Karzai ‘plans talks with Taliban,’” BBC News, January 29, 2012, http://www.bbc.co.uk/news/mobile/world-asia-16779547. Though Stanekzai and others were under international travel bans because of their U.N. designations, arrangements were reportedly made to allow them to travel to Qatar.Rod Nordland and Alissa J. Rubin, “Taliban’s Divided Tactics Raise Doubts Over Talks,” New York Times, June 25, 2013, http://www.nytimes.com/2013/06/26/world/asia/mixed-signals-as-taliban-try-another-tactic.html. In August 2015, Stanekzai became the acting chief of the Taliban’s political office in Doha. He took over the position from Sayed Tayyeb Agha a day after Afgha resigned. Upon assuming the position, Stanekzai pledged allegiance to the Taliban’s new leader, Mullah Akhtar Mansoor.Tahir Khan, “Sher Abbas Stanekzai replaces Tayyeb Agha as Taliban’s chief negotiator,” Express Tribune (Karachi), August 5, 2015, https://tribune.com.pk/story/932536/sher-abbas-stanekzai-replaces-tayyeb-agha-as-talibans-chief-negotiator/. Mansoor later died in a May 2016 airstrike.James MacKenzie and Matt Spetalnick, “Afghan Taliban meet on succession as Obama confirms leader’s death,” Reuters, May 23, 2016, http://www.reuters.com/article/us-usa-afghanistan-taliban-idUSKCN0YC0P6. Stanekzai was permanently appointed to the position in November 2015. According to Taliban spokesman Zabihullah Mujahid, Stanekzai has represented the Taliban in “a number of rounds of peace talks with the U.S. and Afghan government.”“Taliban appoint top official to Qatar political office,” Reuters, November 24, 2015, http://www.reuters.com/article/us-afghanistan-taliban-idUSKBN0TD1QL20151124. Stanekzai pledged allegiance to new Taliban leader Mullah Mawlawi Haibatullah Akhundzada in May 2016.“Head of Taliban’s Qatar office pledges allegiance to new chief,” Daily Times, May 26, 2016, http://dailytimes.com.pk/islamabad/27-May-16/head-of-talibans-qatar-office-pledges-allegiance-to-new-chief#. “Juma Mohammed Abdullah al-Kaabi dies after Afghan blast,” Al Jazeera, February 15, 2017, http://www.aljazeera.com/news/2017/02/uae-ambassador-wounded-kandahar-blast-dies-wounds-170215105632041.html. Ahmad Bilal Khalil, “The Rise of Taliban Diplomacy,” Diplomat, January 3, 2017, http://thediplomat.com/2017/01/the-rise-of-taliban-diplomacy/. Mohammed Sher Stanakzai“Afghanistan: Taliban Lose Control Of Key Areas North Of Kabul,” Radio Free Europe/Radio Liberty, October 9, 1996, https://www.rferl.org/a/1082050.html. Sher Mohammad Abbas StanakzaiMushtaq Yusufzai and Fazul Rahim, “Taliban Talks: Militants Say They’ll Meet Afghan Officials in Norway,” NBC News, June 16, 2015, http://www.nbcnews.com/news/world/taliban-talks-militants-meet-afghan-government-representatives-norway-n375421. Sher Mohammad Abbas StanekzaiRod Nordland and Alissa J. Rubin, “Taliban’s Divided Tactics Raise Doubts Over Talks,” New York Times, June 25, 2013, http://www.nytimes.com/2013/06/26/world/asia/mixed-signals-as-taliban-try-another-tactic.html. Sher Mohammad Abbas StanikzaiRod Nordland, “Peace Envoys From Taliban at Loose Ends in Qatar,” New York Times, April 9, 2013, http://www.nytimes.com/2013/04/10/world/asia/taliban-peace-envoys-in-qatar-with-nothing-to-do.html. Sher Mohammad StanakzaiQuentin Sommerville and Bilal Sarwary, “Afghan President Hamid Karzai ‘plans talks with Taliban,’” BBC News, January 29, 2012, http://www.bbc.co.uk/news/mobile/world-asia-16779547. The U.N. Security Council designated Sher Mohammed Abbas Stanekzai Padshah Khan as an individual associated with the Taliban on January 25, 2001.“Consolidated United Nations Security Council Sanctions List,” U.N. Security Council, June 21, 2017, https://scsanctions.un.org/consolidated/. Sher Mohammad Abbas Stanekzai Padshah Khan is a U.N.-sanctioned former deputy minister in the deposed Taliban government in Afghanistan. Since August 2015, he has headed the Taliban’s political office in Qatar. Mohammed StanakzaiJohn F. Burns, “Afghanistan’s New Rulers Soft-Pedal Their Hard Line,” New York Times, October 2, 1996, http://www.nytimes.com/1996/10/02/world/afghanistan-s-new-rulers-soft-pedal-their-hard-line.html. “In Western countries, women come out of their houses almost naked, they go freely to nightclubs, they drink and they dance all night. And when our society says you cannot do such things, a woman’s role is to marry a well-respected gentleman, have children and stay at home, you say we are taking people back to the old ages.”John F. Burns, “Islamic Rule Weighs Heavy for Afghans,” New York Times, September 24, 1997, http://www.nytimes.com/1997/09/24/world/islamic-rule-weighs-heavily-for-afghans.html. “Our current restrictions of women are necessary in order to bring the Afghan people under control. We need these restrictions until people learn to obey the Taliban.”Jan Goodwin and Jessica Neuwirth, “The Rifle and the Veil,” New York Times, October 19, 2001, http://www.nytimes.com/2001/10/19/opinion/the-rifle-and-the-veil.html. “If people who are considering making trouble come into our hands, we will punish them.”John F. Burns, “Afghanistan’s New Rulers Soft-Pedal Their Hard Line,” New York Times, October 2, 1996, http://www.nytimes.com/1996/10/02/world/afghanistan-s-new-rulers-soft-pedal-their-hard-line.html.